In collaboration with architecture firm Gansam and aquatic design firm Water Technology, Inc., we participated in a water park design competition for Kangwon Land’s High1 Resort in Gangwon Province, Korea. Set high atop the mountains, the popular Korean resort destination, which features a ski resort, hotels, a casino, a country club, and a convention center, was looking for something truly special to enhance its existing visitor offerings. 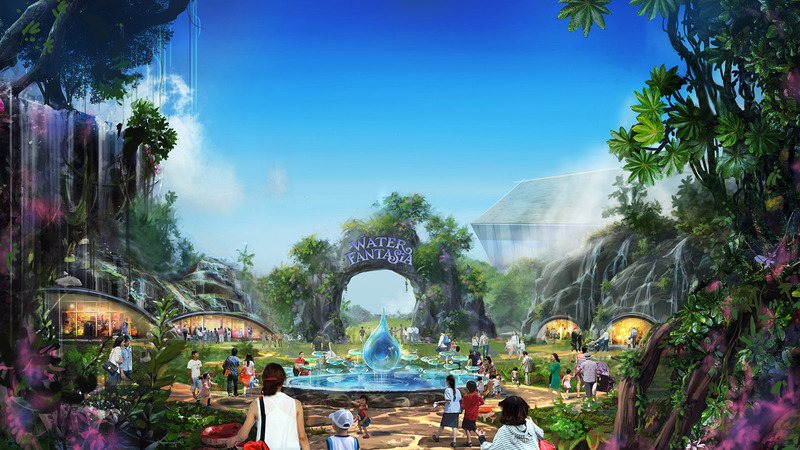 With compelling storytelling and highly immersive theming, we designed a world-class water park and spa set in a lush and mysterious aquatic kingdom, complete with bizarre plant life, strange temples, and gorgeous remnants of fabled lost city. We created an unparalleled array of indoor and outdoor attractions that celebrate the wonder of water and immerse guests from day to night and summer to winter in a strange and bewitching landscape of natural beauty.